Philippine extended continental shelf was discovered by and named after an American geologist Andrew Benham back in 1993 during the Commonwealth era. It is claimed to possibly contain heavy metals and oil. But controversy rose from the depths as China’s named five undersea features of Benham Rise, despite having only having rights to pass and explore the said continental shelf. “It’s only to name. Iba naman yung exercising sovereign rights. Even sovereign rights do not mean sovereignty. Una sa lahat, Benham Rise, sinong nagpangalan nyan…? Nagalit ba tayo noong Amerikano (ang nag) name nyan? Nagalit ba tayo? Ngayon, Chinese name, allergic tayo?” asked Senator Koko Pimentel as he defends China. The ABS-CBN broadcaster Korina Sanchez-Roxas was horrified by how the 1990 bar exam top notcher claims that there is nothing to worry about China renaming the shelf. Senator Pimentel defends his apathy towards China’s naming controversy as he states that no one has the rightful power to name features of the earth. “Without reading the convention or the treaty, or the rules governing the name, common sense tells me that no one has a monopoly of the power or the right to name features on earth. 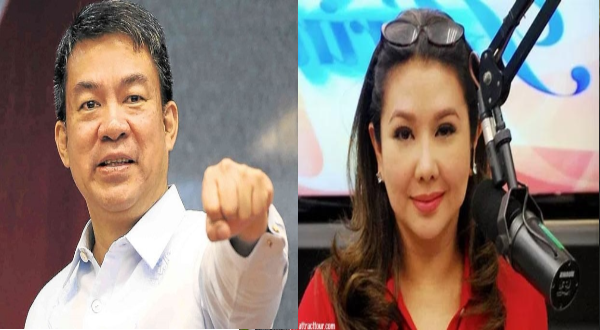 Wala naman pong ganun,” said Senator Koko Pimentel. But it wasn’t the illegal naming that bothered Sanchez, said Former Senator and husband of Sanchez, Mar Roxas it was Pimentel’s advisory. She reasoned out that if it wasn’t a big deal, then why would Duterte want to change the Benham Rise’s name to the “Philippine Ridge”, after he visited Palawan in April 2017? It was faulty reasoning, the warped logic of Pimentel that made Sanchez counter him. Pimentel apparently compared China’s naming to the “liberty” of the Americans to name the said shelf. Sanchez three stated points. First it was discovered by the Americans, so with reason, they have the right to name the shelf. Second, Pimentel can ask the President on why we need to change the name of the shelf if there isn’t an issue. Then lastly she asked which country was claiming the seas, she’s pretty sure it isn’t the Americans. “Kinumpara sa pagbigay ng pangalan ng Amerikano sa Benham Rise. Hindi naman daw tayo nabahala. Una, Ang Amerikano ang nakadiskubre sa lugar, kaya siya ang unang nagbigay ng pangalan. Pangalawa, eh di tanungin niya si Duterte kung bakit pa kinailangang palitan sa Philippine Rise kung wala naman palang isyu. At pangatlo, sinong bansa ba ang umaangkin ng halos lahat na lang sa karagatan? Alam ko hindi naman ang US,” said Sanchez.